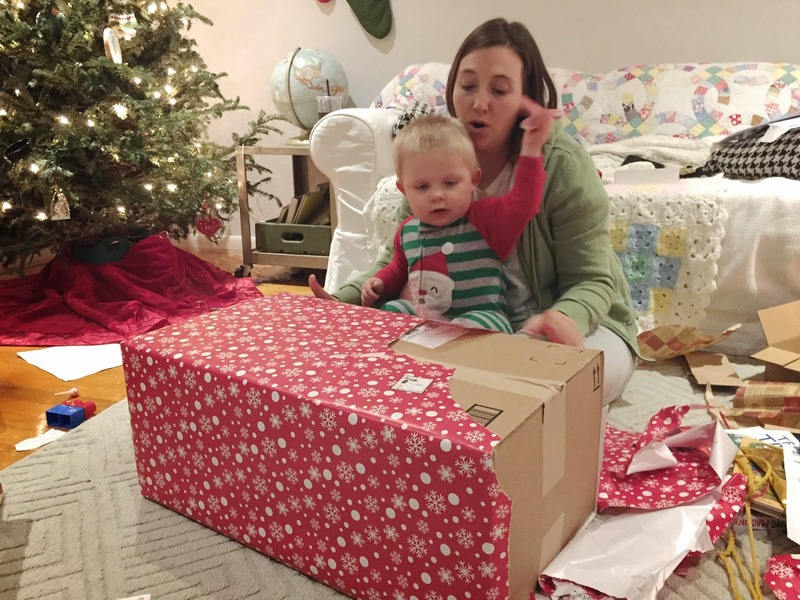 This year, our Christmas was relatively low-key. Usually, we are traveling around Texas and then to Minnesota--it's both a busy and a sweet time for us. But, this year, we stayed in Texas, and although I really missed being with family up there, I didn't miss the extra travel. Also, I hardly took any pictures. Sometimes, I'd rather live it than document every minute of it. There was excitement from Luke when he opened gifts, sweet conversations with family, lots of time in the car, visiting family we rarely see, and getting in a little extra time with Josh. I hope that you all had a lovely, lovely Christmas! What a nice, sweet holiday! Ours was quieter than normal too, and I loved it! THat's 5-guys at the end, yes? SO delicious!